If any day during the summer required some shade, this is it. It’s 97 degrees today, and just one degree shy of some excellent Nick or Drew Lachey jokes. 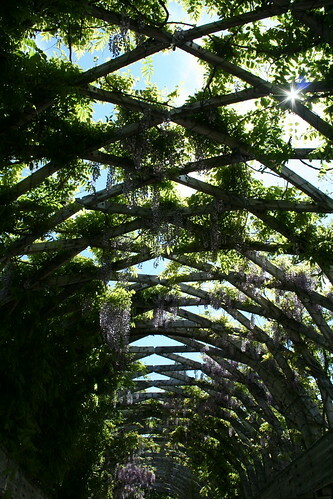 You can make your way over to Christopher Columbus Park in the North end to make a walk through the wisteria covered trellis, as well as get wet in a fountain or two. Not too close to the North End? Here’s a list of every park in and around Boston that has “spray features”, which can help get you wet. Now excuse me while I go buy that $50 “adult” kiddie pool at Ocean State Job Lots. 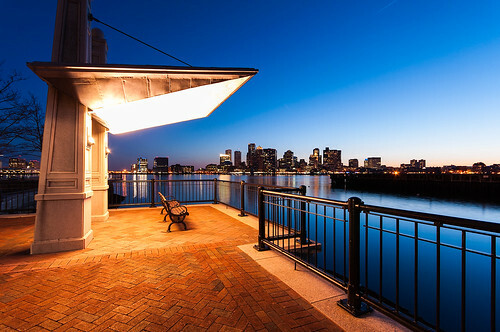 Now THAT is a view – Piers Park in East Boston usually doesn’t fail to disappoint, and this one comes to us courtesy of Lee Costa, a talented new contributor to our Flickr pool. Speaking of views, where will you be watching the fireworks display tomorrow night? Got a spot on a friend’s roof deck? Maybe your place of employment overlooks the river? Maybe you’ll watch from the Cambridge side? We want to see your fireworks and Fourth of July shots, so show us what you’ve got. In honor of the death of DOMA today: All you need is love. And is Boston getting its own love locks hot spot? In Seoul, Paris, Rome, New York Chicago, ( maybe DC?) and many others, “lovahs” flock to landmarks to place a padlock – sometimes with names, dates, or quotes written on them – to symbolize and commemorate their love. 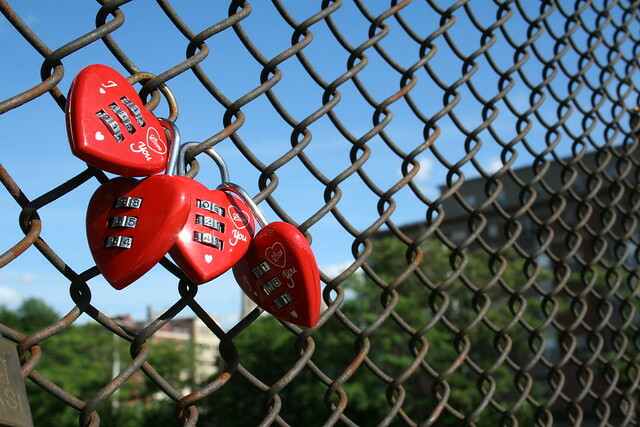 And I’ve been noticing more and more locks appearing on the fence by Hynes Convention Center T stop on my commute – much like these heart-shaped ones seen here, taken by We Love Beantown’s own Alex Dupnik. Maybe they were put there on a double love lock date! Share your love lock story: Have you and your lovah placed a padlock in a famous city or at a famous site? Plan to place one at the Mass. Ave fence yourself? Snap a photo if you do for our Flickr group! 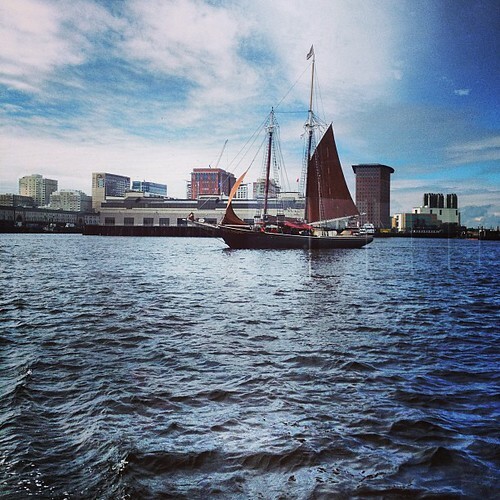 If this photo can’t convince you to make it out into the Harbor this summer, I don’t know what will. Right from our own Alex Dupnik, this is a great reminder that we have an awesome string of 12 Boston Harbor Islands that are easily accessible from the city. You can tour lighthouses, camp, swim, go boating or kayaking, or even have a lobster bake (yes, I’ve done that, and yes, it was AWESOME). You can find most of the information you’ll need right here, so plan a little harbor adventure into your summer. People from all over the country (and the world) have poured out a ton of support to our city over the last month and a half. 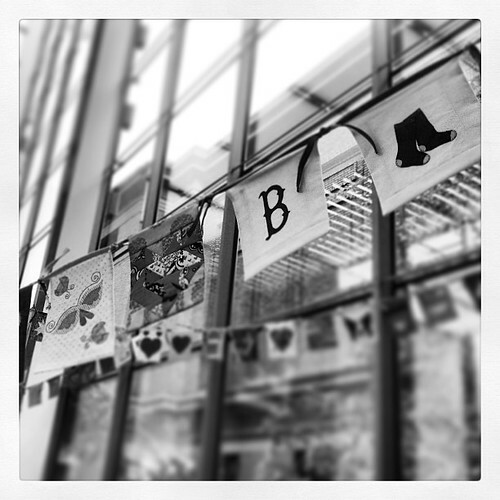 A gesture of support that you can see yourself is “To Boston With Love,” an installation of more than 1600 hand-sewn flags strung across the courtyard at the MFA. A grass roots effort, it actually was conceived in Vancouver, and includes patches created by quilters from nearly every state in the US and from countries around the world. They convey inspirational messages of love, peace, and hope and some hometown icons, like our “B” of the Boston Red Sox logo, the Citgo sign (a personal favorite) and Zakim Bridge, the Boston Marathon, and “Boston Strong.” It’s a great time to check out the inspirational exhibit, and snap some photos to add to our Flickr pool.